In order to empower creativity and imagination in our world, we must adapt the toys to the time and the environment of nowadays kids. Few days ago Vai Kai launched its Kickstarter campaign to make its first project a reality: the Avaikai. It is the first time I back a project and I wanted to share with you the motives and the wonderful story behind Vai Kai. I had the chance to meet Matas, one of the co-founders of this ambitious project when I visited their workshop a few weeks ago. I discovered and I played with the first prototypes of the Avaikai. I had a lot of fun! WE –actually– had a lot of fun: the Avaikai gave us, with other visitors, the opportunity to play hide and seek (the Avaikai is for kids and user tested on them but it seems to work fine on adults too). All the following photos were taken with my phone during this visit. You can see a lot of great quality and playful pictures on their blog and on their Kickstarter page. What makes Vai Kai so different? 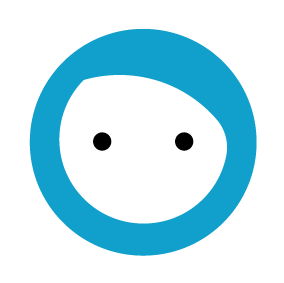 Vai Kai is born from the will to bound creativity and technology together in the toy universe. Right now the toy industry is split between the “good old values” and the “screens-oriented”. This is the reason why you see Lego releasing apps and movies. This is the reason why this industry is dying and drawing the curtain on the main factor of children development (hopefully after the parents). This is the reason why it is crucial for the present and the future generations of kids that projects like Vai Kai exist and release their ideas to the world. The white version and the natural version seem to hang out pretty well. Vai Kai originates from Berlin, Germany and draws its inspiration from a wide multicultural landscape. Vaikai means “children” in Lithuanian and this is the “raison d’être” of Vai Kai. I wanted to give my daughter a present. Something that was made for her to grow up with, something that was designed with love, built with a future in mind, open to her creativity. I couldn’t find anything like that, so I decided that I should build it. 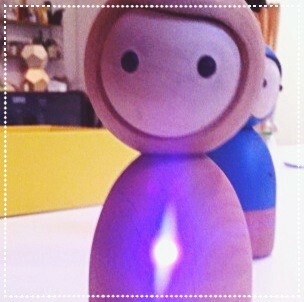 Kids can express how they feel ‘”inside” with colorful LEDs by touching the head of the doll. Avakai are play companions that encourage screen-free play and emotive communication. 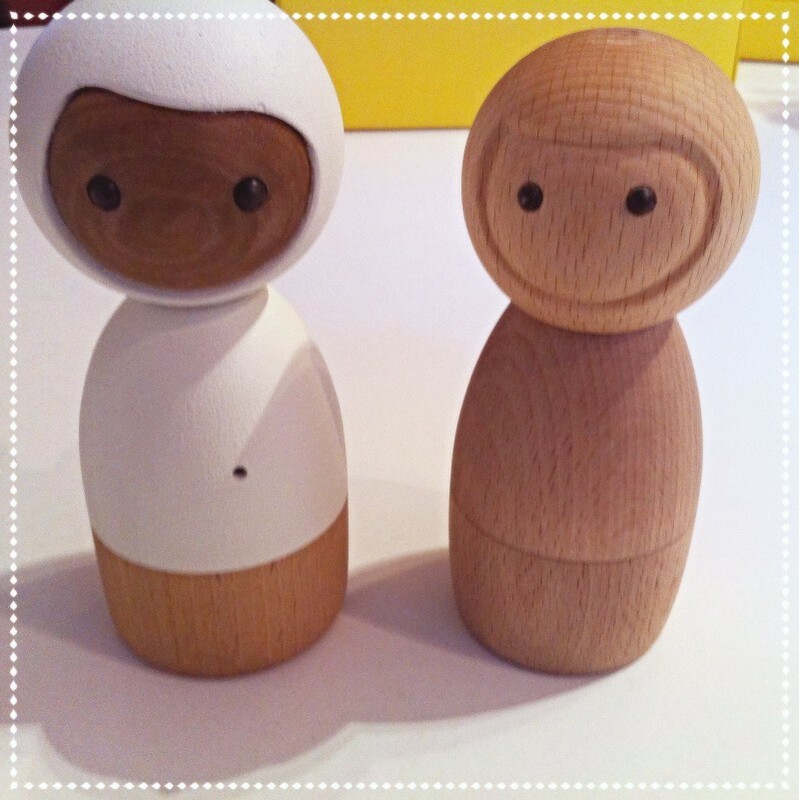 The lovingly crafted, durable and locally sourced wooden figurines use Bluetooth technology, bridging the gap between traditional toys and mobile devices. The technology inside Avakai allows it to sense proximity, touch and movement, reacting with sounds, colored light and haptic feedback. 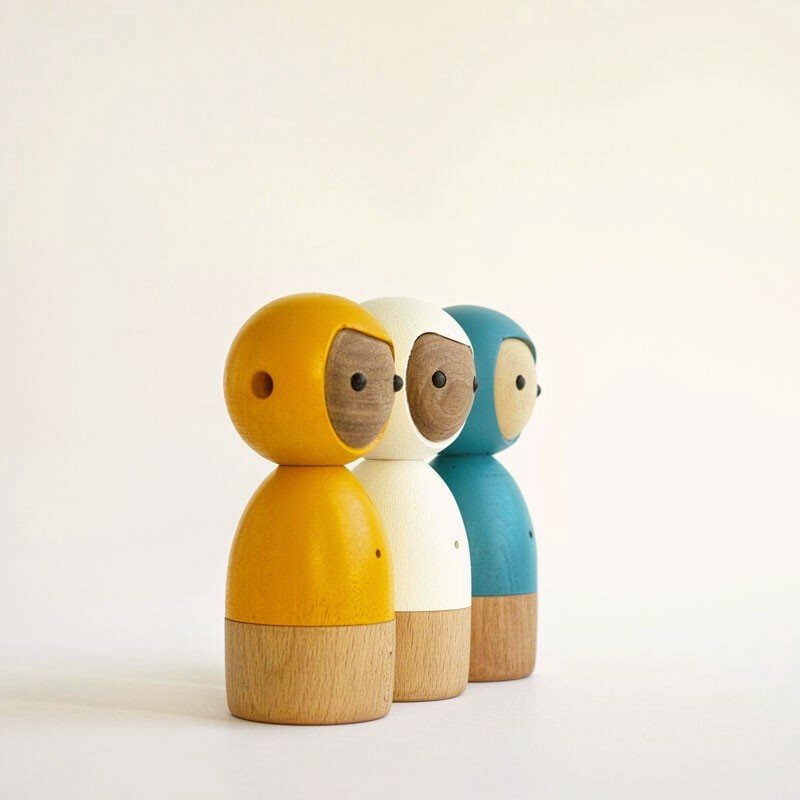 I would add that the Avaikai are wooden dolls looking like a combination between kokeshi and matriochka, containing sensors and other surprises that invite kids (and adults) to imagine games and worlds, or to express themselves in a sensitive way. Inspiring, isn’t it? Simple and minimalistic but still carrying emotions. Wood is a solid and noble material. 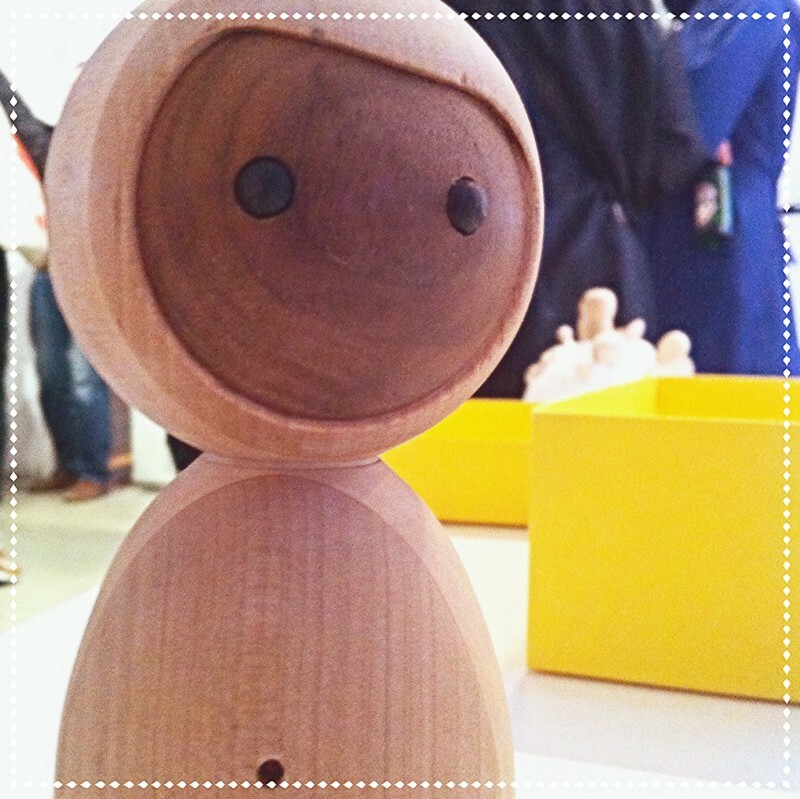 Moreover, wood based objects are made to last and to disappear without hurting the ecosystem. The wood used for the project is locally sourced which means that the environment is taken into consideration, and this should make all of us happy. I will save you from my philosophic reflections about the stories and ages carried in a block of wood, and how beautiful and symbolic it is to share a piece of time and nature with future generations (or maybe I just did in a nutshell ^_^). Speaking about time: wood changes with age, traditional essences usually get darker due to the contact with air + humidity + acidity of the human skin, contrary to plastic which will be on earth until the end of time and will survive any of the kids playing with it. I am also very sensitive to the idea that due to its material the Avaikai has to be man made. To reach the kid the toy will be shaped by humans at each stage of its production and it is a pretty nice feeling. Anyone who has kids knows how hard it can be to make them play together with a common toy because either the oldest will be bored, or the youngest won’t “get it”. With the Avaikai I can see a different pattern happening here: while some activities are pre-established, the biggest part of the play relies on the fantastic ability kids have to tell stories and to live it as real. Moreover gendre-free toys make me very enthusiastic because it provides more space for the children to express themselves, especially their own identities. Using low tech with a smart software interface seems to be an interesting alternative to extend the play with tech toys instead of limiting it. Well I don’t have to explain to you how your kids will take care of making an Avaikai theirs and only; while your attention is focused on reading this article they might conquering your kitchen walls by drawing a beautiful chef d’œuvre on it (“oh yay true we are Sunday”). I was in my 20's during the trend of the vinyl toys in France and whenever I had my fun customizing it, I stopped at some point because the support excited me less and less (confession: I really enjoy classic porcelain custom so keep your china away from me if I stop by your place for tea time). Now comes the topic of customizing the hardware. What if you could switch a sensor by another or change the interactions between dolls /objects / other sensors / context / humans? This can not cross my mind without igniting my curiosity. And yours? “Missing feature” is a game I play for everything I have a crush on (from shoes to food passing by transportation choice). Different colors are proposed for the Avaikai and what I would have loved to see proposed is a blackboard version, this way the customization can go over and over. I can hear you saying “come on be crafty: just paint it yourself”. Most of the blackboard paints from craft shops are fading after few erase and repeat loops, this is why I am praying in the direction of a professional coating. 2- adding accessories would mean putting restricting constraints in the kid’s imagination and this is a no-go for me. For the last decades toy industry kept trying to be creative while reproducing very conservative patterns. We live in a wonderful era, we never spoke so much about the role of play and the importance of imagination in the learning and personality development, but in the same time our toy ecosystem doesn’t reflect it. Through its first project Vai Kai proposes an inspiring alternative which brings together key-values like creativity, imagination and authenticity with development factors like technology, accessibility and sustainability. Supporting Vai Kai seems to be a wonderful way to take position in this direction and to open a door to hours of diving into a world of magic and imagination.